Spacious and pleasing — but where are the doctors? It's soothing inside the new Veterans Affairs' outpatient clinic in Eureka, with its muted chocolate-and-tan patchwork of wood-toned paneling and floors, soft-blue painted walls, and pamphlet-stuffed racks sprinkled throughout the lobby and hallways. On a recent afternoon, April sun brightened the windows and a few people sat in the lobby waiting area. A clerk was telling a man, 60-ish, that as soon as the clinic gets more doctors -- two more are supposed to come on soon -- she could schedule him an appointment. She asked, "Would you like to make an appointment to go to the clinic in San Francisco?" He said maybe, and they talked a bit more. After him, another, older man stepped up. No, he said (when it came to that), he didn't want to go to San Francisco. Would he like to be seen by a nurse? No, he wanted a doctor. This is not an unusual scene these days at the new VA clinic, a remodeled former Safeway on Harris Street that opened for its new life as a medical hub in October. Doctor after doctor has quit since then, according to Judi Cheary, public affairs director for the San Francisco VA Medical Center, which oversees the Eureka clinic and five others. "The patients are justifiably frustrated," she said. Among them are Philip Sanders, a Vietnam veteran who raises beef cattle and timber out in Orleans. In January, he said, he was told he'd have to wait until April 1 for his annual physical and some lab work his cardiologist wanted done. But as his appointment neared, in late March, he received a card from them saying his April 1 appointment had been canceled and "we will contact you to reschedule." He called a few days later, but still couldn't get in. "I can't wait any longer," he said. "So I'm making an attempt to make an appointment with a private physician." Kneeland resident John Mitchell, who was on the USS Pueblo when it was captured by the North Koreans in 1968, said he was told to wait for his regular checkup -- a month away -- to be seen for a flare-up of his irritable bowel syndrome. The San Francisco clinic offered him a next-day appointment -- down there. And a free shuttle ride. Huh-uh, he said. "Drive six hours, spend the night in a motel?" he said. "And the shuttle -- that's the trip to hell. You get on this bus and they only stop in Ukiah -- the only pit stop. And most old guys like me, we gotta go to the can more than once on the way to San Francisco." Especially when the bowels are goofy. He decided to ride the illness out. Scotty McClure, an Army veteran who lives in Benbow, said he really liked the doctor at the clinic he saw last year, when he had pneumonia. She spent 55 minutes with him. But then she quit; he said he heard she had a family emergency. Since then, he's had a cancer scare -- some suspicious nodules on his lungs. After the second CT scan, he said, he had to wait 35 days before he finally got in to see a doctor at the clinic. That was last week, and it was good news: no cancer. But he'd fretted over a month, during which time he said he called the clinic "30 to 40 times" to try to set up an appointment. "The doctor I saw [last week] told me three doctors have quit, and that she'll be leaving, too" McClure said. Sanders, the Orleans veteran, also has had some good experiences at the new clinic. He got in to see the optometrist right away. And the clinic's medication service -- run out of San Francisco, with medications mailed directly to his home -- is "Johnny-on-the-spot," he said. But trying to get in to see a primary care provider? It's nothing like the old clinic, he said. "I never waited more than 10 minutes with the old set up," Sanders said. 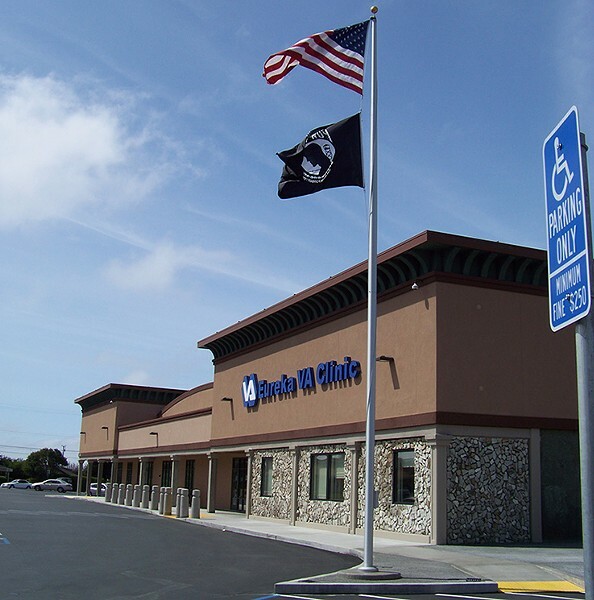 Cheary sounded frustrated last week as she talked about the shortage of primary care providers here, at the farthest-flung clinic the San Francisco VA oversees. "We're very much understaffed," Cheary said. "We've had a constant turnover since the doors opened in October." The old clinic, on F Street, was run primarily by private contractors -- three primary care doctors, one nurse practitioner and three medical clerks. It also had five mental health staff employed by the VA. The clinic offered primary care, mental health care, a pharmacy, laboratory tests, X-rays, telemedicine and home-based primary care services. The new clinic, operated by the VA, is supposed to offer the same, plus more: audiology, optometry, podiatry, prosthetics and, eventually, physical therapy. The goal, said Cheary, was to start off with seven primary care providers -- a still-unspecified combination of doctors and nurse practitioners. Plus, there would be a podiatrist, five registered nurses and five licensed vocational nurses; non-physician specialists in optometry, audiology and phlebotomy; telehealth technicians, administrative staff and clerks. Fully staffed, she said, the clinic should employ about 40 people. But from the start, she said, the clinic has never been fully staffed. The reasons vary. "We hired one doctor, and when we went to do his credentialing, we found he hadn't exposed that his license had been suspended," Cheary said. "We hired one woman -- who was going to be chief -- then she had a family illness and couldn't relocate." Other doctors have made it here, but then left -- Cheary said she didn't know how many, nor each one's specific reason for leaving, but she didn't think salary was the issue. The VA pays doctors between $170,000 and $195,000. There appear to be two main reasons, she said, that doctors have been hard to recruit and retain. One is workload. Eureka's VA clinic served 4,814 veterans in fiscal year 2012, and handled 22,950 outpatient visits. Each doctor is expected to carry a workload of 1,100 patients. "Our primary challenge has been location -- doctors not wanting to live in Eureka," Cheary said. "Or, we had a case where the doctor wanted to live in Eureka but the family didn't." As of last week, the clinic employed two doctors and two nurse practitioners. It also is using a telehealth doctor based in Clear Lake. Staff in San Francisco are filling prescriptions and taking care of some other clerical duties. There's an audiologist on board, and an optometrist and prosthetics specialist, but no podiatrist yet. One of the doctors is only here temporarily and will be leaving in a month. But some new hires are on the way, Cheary said. "We hope to have the chief MD coming in July," she said. "And we have another MD coming on board at the end of April. And another is coming the first of June. So then we'll have six primary care providers. And we're recruiting for an additional MD." In the meantime, she said, clinic staff are telling people they can use the free shuttle for appointments in San Francisco. Many decline. Cheary said she doesn't know how many existing patients have been put on hold, waiting for appointments. But she said 64 people are on a waiting list to become VA patients. She also was hesitant to say when the clinic would be fully staffed, because who can know if the new doctors will stay. Again, frustration crept into her voice. Her office has never run into this before. The Clear Lake clinic had a slow start, she said, but nothing like it's been in Eureka. "When we opened the doors last October, we anticipated the staff we had recruited would come on board, and would stay," she said. "We, in a million years, never would have anticipated the hiring challenges we've had. They're unusal. They're unexpected. But we have an obligation to our veterans, and we intend to meet that obligation." Meanwhile, some patients, including Kneeland resident Mitchell, have called Congressman Jared Huffman's office for help. "I'm 65," Mitchell said, "and this tires me out. If you're 80, you don't have the energy to light a fire under these people." Huffman said last Friday that his office has been working with the Eureka VA clinic for the past few months, and has helped six veterans get appointments. "But I'm sure there are more of them out there needing assistance," he said. The San Francisco VA office assured him that issues in Eureka would be resolved by summer, Huffman said, and he intends to make the VA stick to that vow. Cheary noted that if any patients have gotten appointments, it isn't because of a congressman intervening. The limited staff is taking patients by triage -- urgent cases first, she said.